After finding this recipe, I decided it sounded nice and light so I thought I'd give it a go. Little did I know how much I would seriously LOVE it. The first bite was just ok, but after I got going I couldn't stop and got seconds and maybe even fourths? 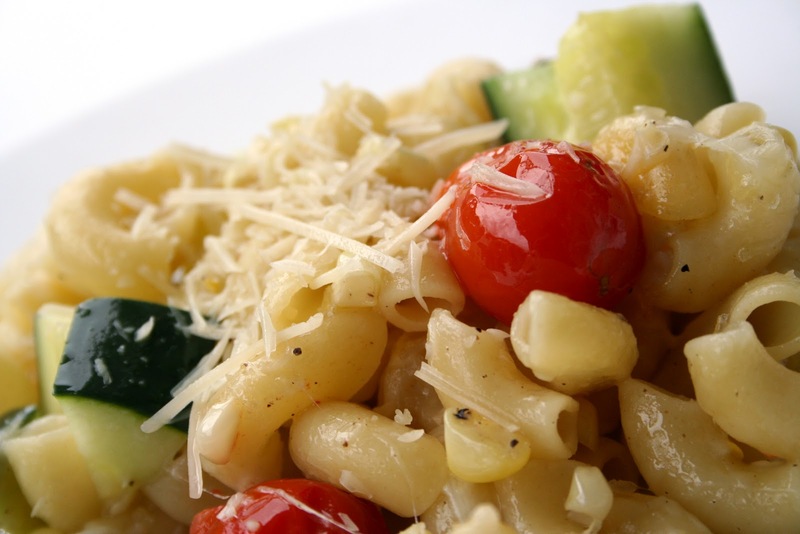 There was something about the fresh corn mixed in with the buttery pasta and the grape tomatoes? Oh the grape tomatoes were so yummy. This is a must try before corn is completely out of season. 1. Preheat oven to 400 degrees F. Prepare water for pasta and bring to a boil. Once boiling, add pasta to cook. Drain when finished. 2. While pasta is cooking, heat a large frying pan on medium-low heat. Add in olive oil, zucchini, corn, tomatoes, salt, pepper, onion and garlic powder and butter stirring to coat. Cook for 10-15 minutes, tossing occasionally, while softened. 3. Turn off heat under vegetables and add in pasta. Stir in parmesan and transfer mixture to a 2.5 qt. baking dish. Top with mozzarella, place in the oven and cook for 10 minutes, just until cheese is melted. 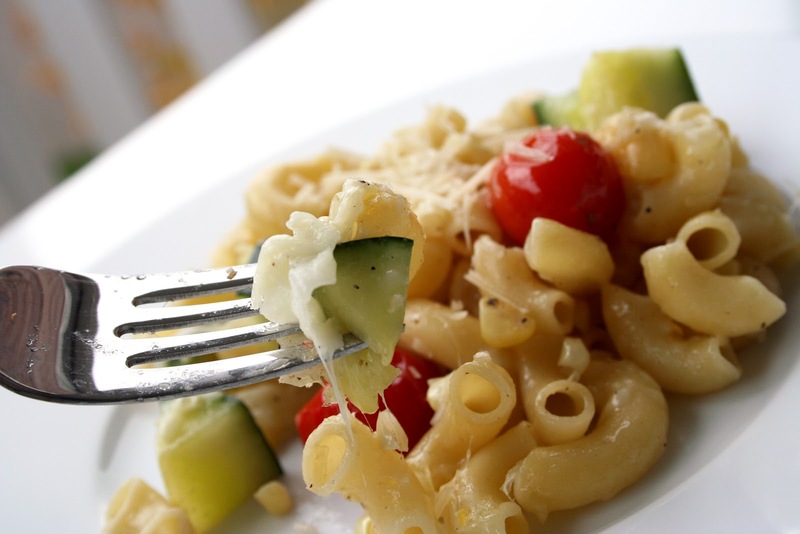 Remove and serve immediately, garnishing with extra cheese if desired. *Feel free to use whatever veggies you have on hand. Mushrooms, peppers, onions, etc, would be great in this!